Support us on Patreon! For only $0.11 per episode ($1/month) you can be part of our Patreon community. For a few more bucks per month we'll throw in two bonus episode! Check it out. 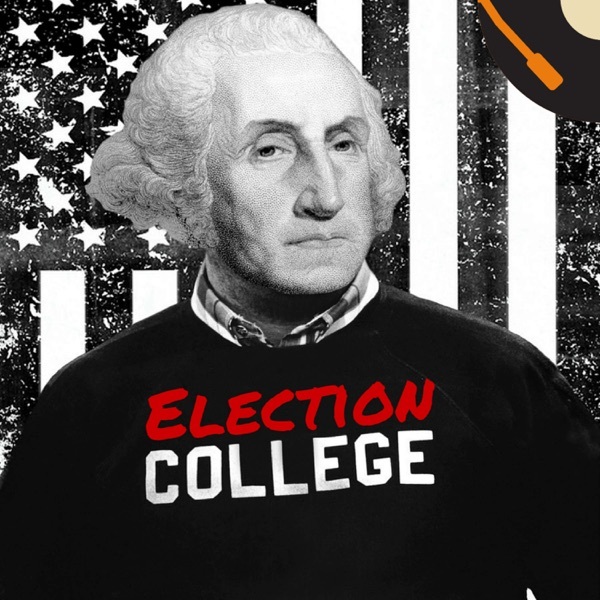 _______________________________ On this episode of Election College, we're talking about Davy Crockett (and his coonskin cap)! Join us as we discuss... His upbringing and family, service in the Tennessee militia, a career in the Tennessee General Assembly and U.S. House of Representatives, an attempt on Andrew Jackson's life, Davey's part in the Texas Revolution, his death at the Alamo, and more! __________________________ Check out our new logo t-shirt! __________________________ We recorded an audiobook! It’s about the letters between Alexander Hamilton and Aaron Burr before their fateful duel. Get it for free with a 30 day Audible trial at ElectionCollege.com/DuelingLetters or get it for only $3.99 with your Audible subscription! ___________________________ Support the show! Use this link to do your shopping on Amazon. It won't cost you a penny more and it will help us out! ElectionCollege.com/Amazon ________________________ Be sure to subscribe to the show! Leave us a review on iTunes - It really helps us out! Facebook | Twitter | Instagram ________________________ Get a free month of Audible and a free audiobook to keep at ElectionCollege.com/Audible ________________________ Music from: http://www.bensound.com/royalty-free-music ________________________ Some links in these show notes are affiliate links that could monetarily benefit Election College, but cost you nothing extra.